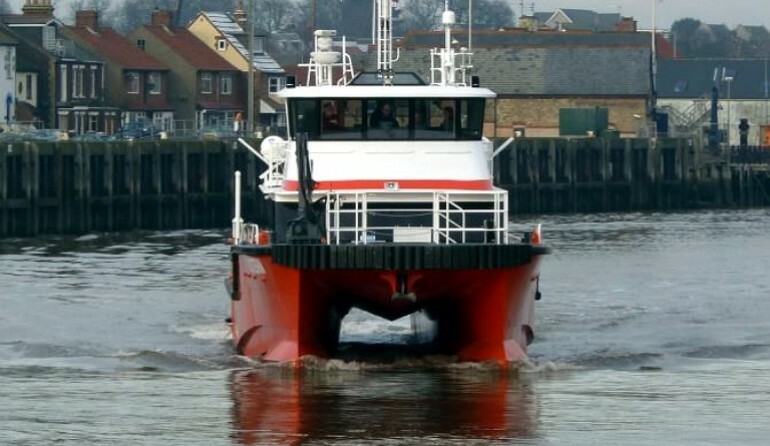 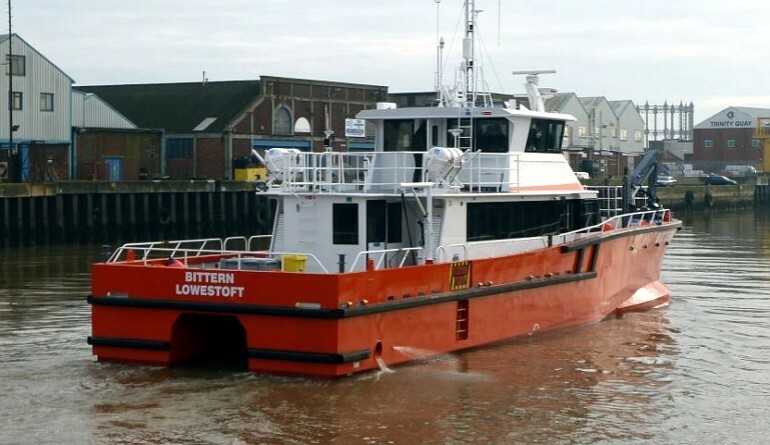 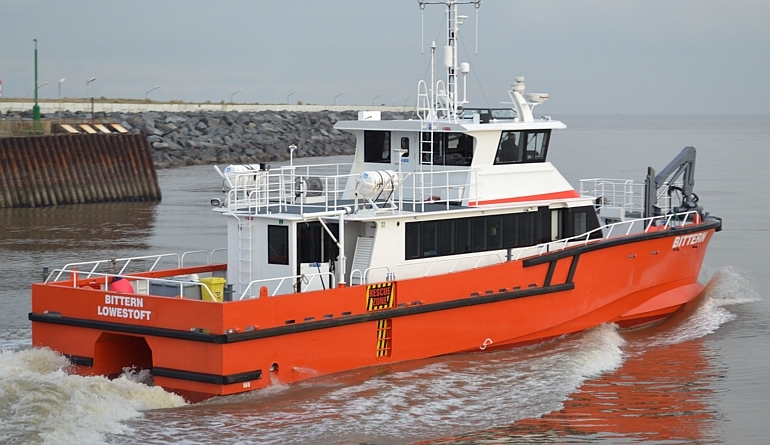 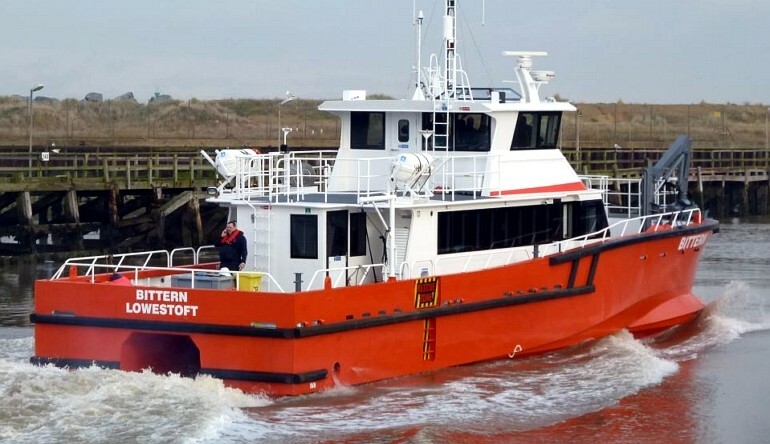 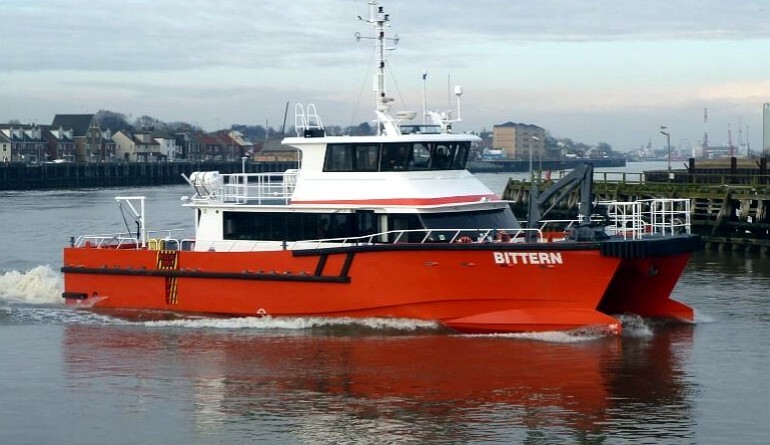 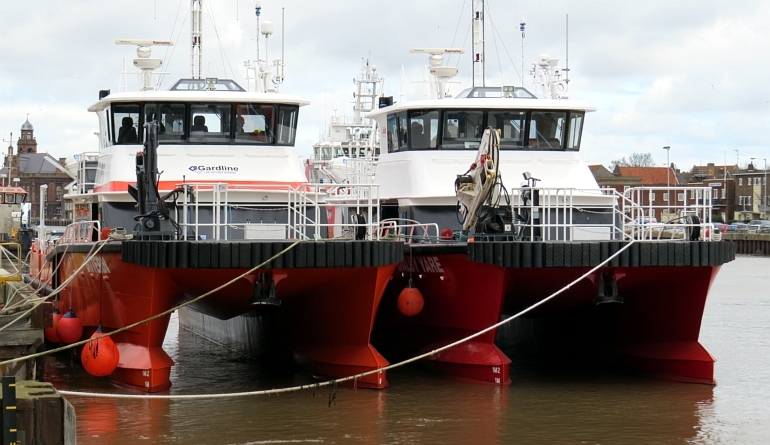 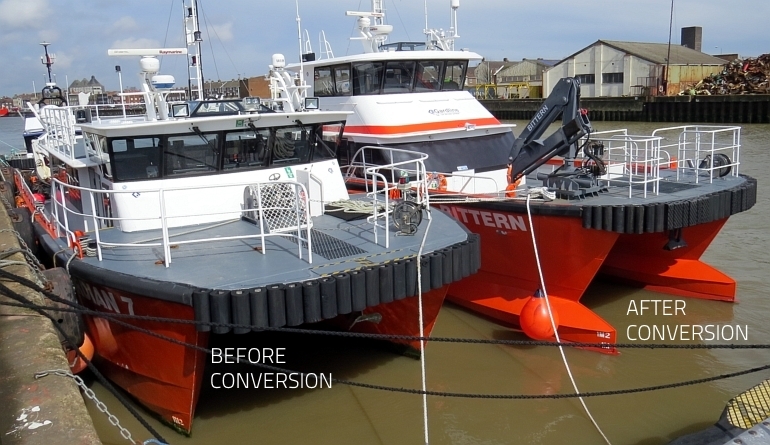 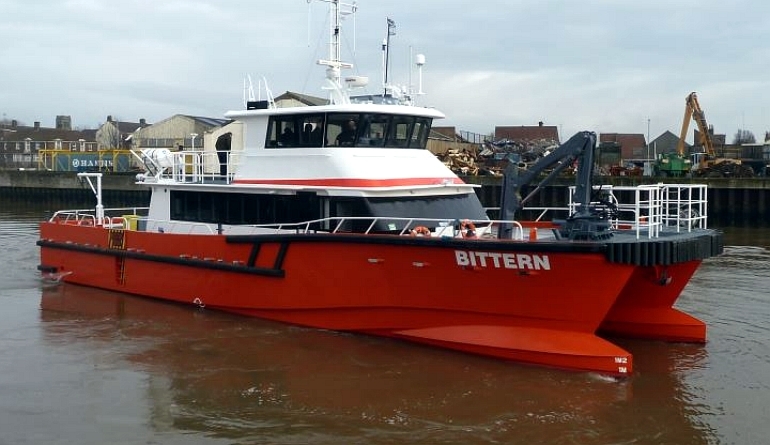 Having constructed over a dozen 20m vessels from GMD’s aluminium Marine Kits, Alicat Workboats of the UK approached GMD to see if it would be possible to breathe new life into their current fleet driven by industry demand fro foredeck cargo. 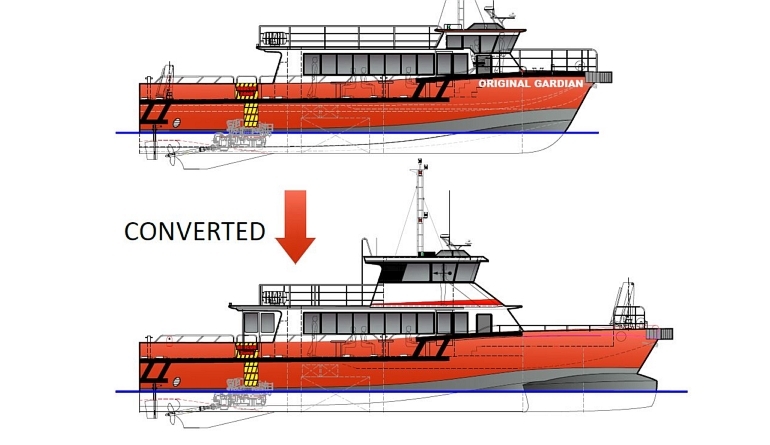 The resulting vessel has a Z-Bow extension of 2.66m which allows for 5 tonnes of foredeck cargo, bringing the deck cargo capacity up to 10 tonnes. 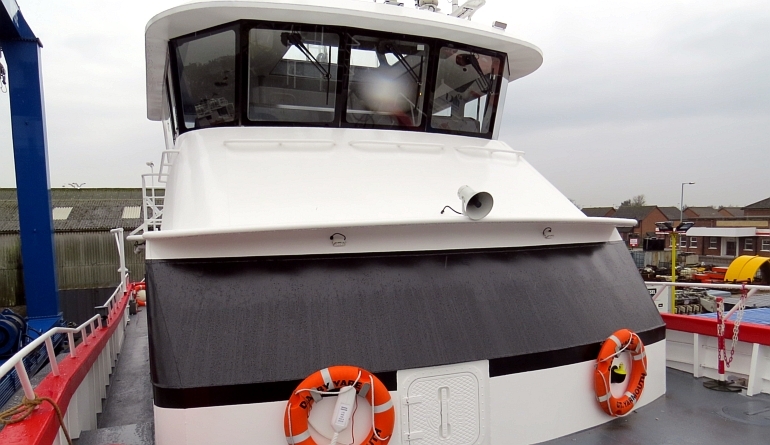 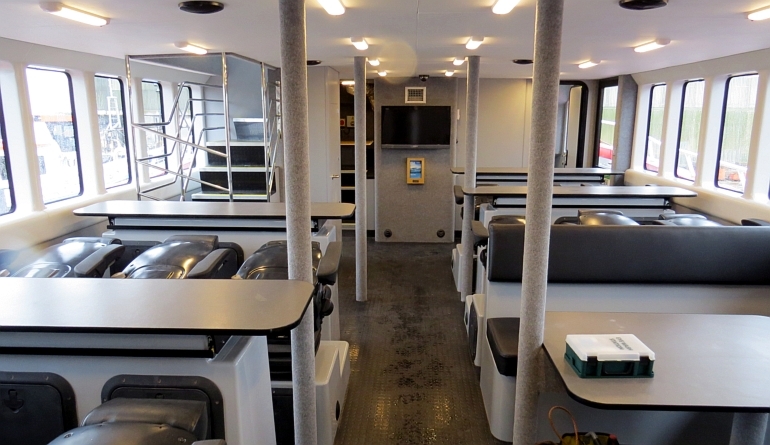 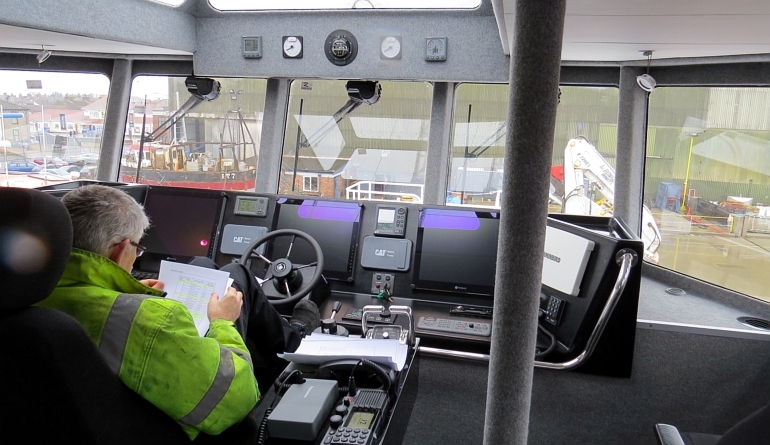 The wheelhouse has also been raised and moved aft for greater visibility and operator comfort. 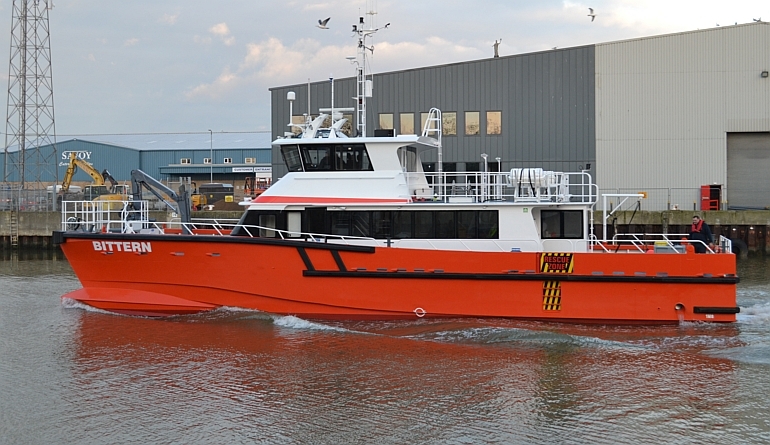 The finished vessel is classed by Bureau Veritas and is ready to work internationally. 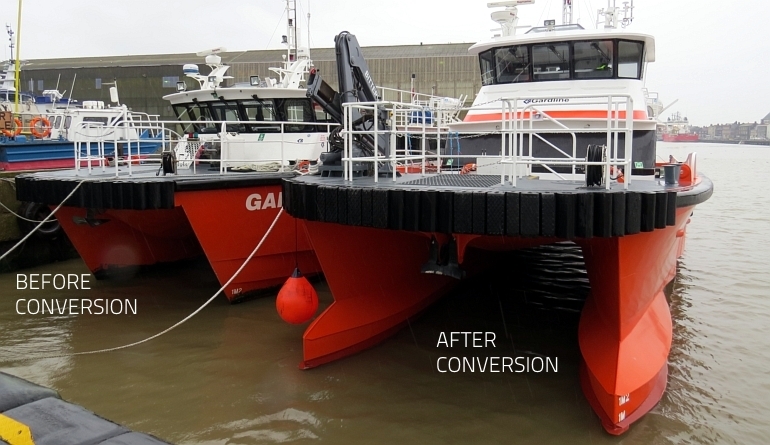 The new Z-Bow extension gives the vessel increased waterline length, finer entry, higher bow free board and higher tunnel clearance all of which improve on the 20m vessels already excellent performance and sea keeping. 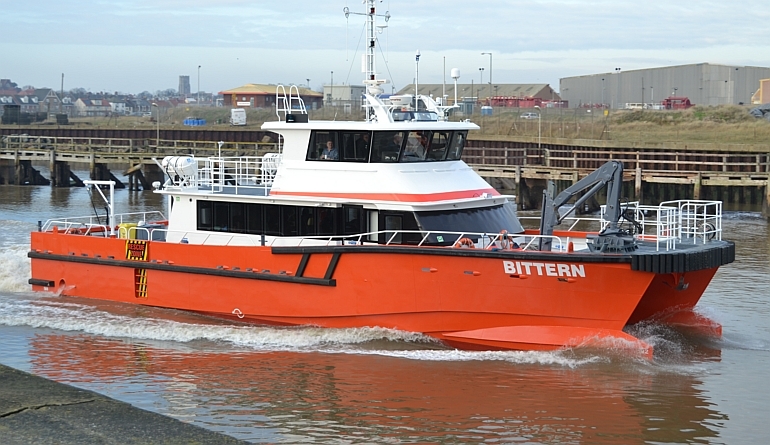 As a result of the improved capability and BV class, both the extended ‘TMS Bittern’ and ‘Dalby Yare’ have immediately secured contracts in Germany. 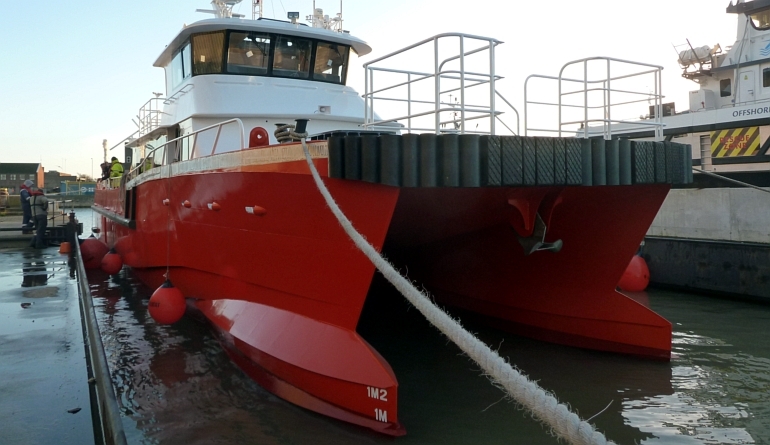 The Z-Bow extension is ready made to fit onto any of our 20m ‘Gardian’ WFSV’s and is a fine example of Global Marine Design’s innovation, precision and performance.